The Nationals have announced that Stephen Strasburg will return to the major leagues September 6 at home against the Los Angeles Dodgers. 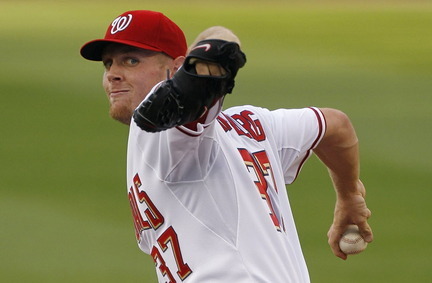 It will be Strasburg’s first big league start since undergoing Tommy John Surgery on September 3, 2010. Most players who undergo the surgery take anywhere from 12-to-18 months to fully recover and then rehab before returning to the majors. Strasburg will take the Nationals Park mound exactly 12 months and three days after his surgery date. Some may wonder why the Nationals, who are 63-70 and 23 games behind the Philadelphia Phillies in the National League East, are risking his health by bringing him back for a few starts in September with Washington out of the playoff race. However, the Nationals are making the right decision by not shutting down Strasburg and instead, letting him pitch this year. The Nationals’ decision allows Strasburg much more comfort in adjusting back to Major League Baseball. The Nationals are going to give their young minor league talent a look over the final month of the season to audition for future roster spots. Strasburg, who, after being the No. 1 pick of 2009 amateur draft went 5-3 with a 2.91 ERA, 1.074 WHIP, 12.2 K/9 ratio and 5.41 K/BB ratio in 12 starts last year, is clearly the future ace of the Nationals if healthy. Therefore, there is no pressure for him to try to earn a roster spot with his performance over the final month. He can shake off the butterflies from returning to the majors and readjust to big league hitters now, rather than in the beginning of 2012 when Washington figures to field a more competitive ballclub. The Nationals only have to look to a fellow starter on their team and a division rival’s starting pitcher to know they are making the right decision. Washington is shutting down 25-year old starter Jordan Zimmermann, who underwent Tommy John Surgery in August of 2009, to limit his innings this season. 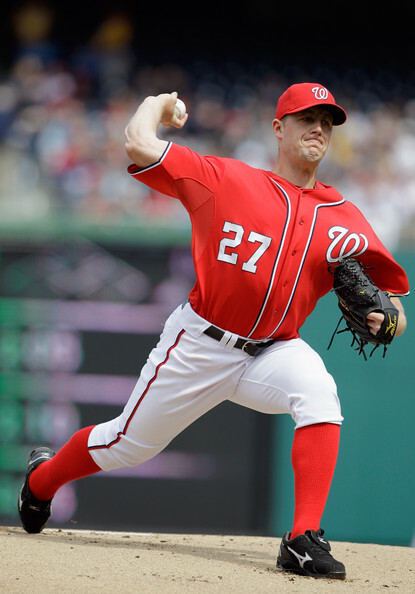 Strasburg will easily slide right into Zimmermann’s slot in the rotation, but can also learn from his experience. 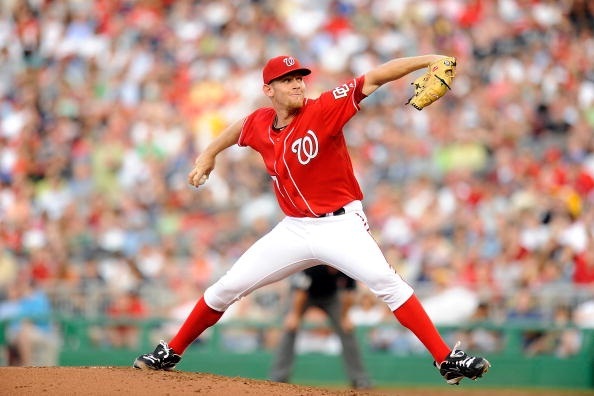 After going under the knife nearly the same time of the year as Strasburg did, Zimmermann returned on August 26, 2010 to make seven big league starts and re-acclimate himself to the mound. Zimmermann struggled in those seven starts, going 1-2 with a 4.94 ERA and 1.323 WHIP. However, he was able to regain his strength, shake off the butterflies and learn how to pitch again at the major league level during that short stint. Zimmermann made what is presumably his final start of the season August 28, but finished with a very good 2011 campaign, his first full season back from the surgery. In 26 starts, he went 8-11 with a 3.18 ERA, 1.147 WHIP and 124 strikeouts in 161.1 innings. His brief return to the mound last season got out all of the jitters from the stigma of returning from Tommy John Surgery and allowed him to focus on what would ultimately be a very good year in the offseason. 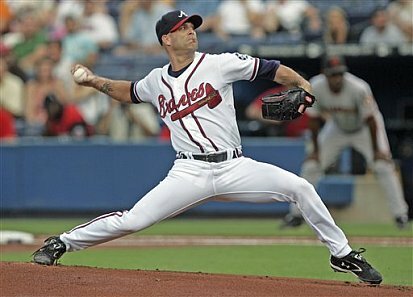 Atlanta Braves pitcher Tim Hudson underwent Tommy John Surgery on August 8, 2008, close to the same calender date as Strasburg. Like Zimmerman, Hudson returned the very next season to make seven major league starts. Hudson’s performance, while not poor, was below his impressive career standards. He went 2-1 with a 3.61 ERA, 1.465 WHIP and 30 strikeouts in 42.1 innings over those seven starts. However, in 2010, his first full season back from Tommy John Surgery, Hudson was stellar, going 17-9 with a 2.83 ERA, 1.150 WHIP and 139 punchouts in 228.1 innings of work over 34 starts. Returning in meaningless September games (Atlanta finished the season 86-76 and in third place of the NL East) helped Hudson learn again how to pitch in the major leagues and helped him have one of the best seasons of his career on a 2010 Braves team he was instrumental in leading to the postseason. There will be people who accuse the Nationals of bringing back Stephen Strasburg for the final month of the season just to sell tickets. However, Washington is making the best decision not from a business point of view, but from a baseball standpoint. Like how the Braves handled Tim Hudson and Washington handled Jordan Zimmermann, bringing back Strasburg now, rather than the beginning of next season, allows him to get the fanfare of returning from Tommy John surgery out of the way and readjust to pitching in the major leagues. If Strasburg follows the model of Zimmermann and Hudson, he will struggle slightly this September, but by next September may be enjoying the best season of his career. This entry was posted on August 31, 2011 by Scott Kornberg. It was filed under Stephen Strasburg, Washington Nationals and was tagged with Atlanta Braves, Braves, Jordan Zimmermann, nationals, Stephen Strasburg, Stephen Strasburg return, Strasburg, Tim Hudson, Tommy John Surgery, Washington Nationals.